Raven is an online platform for contemporary art and events. 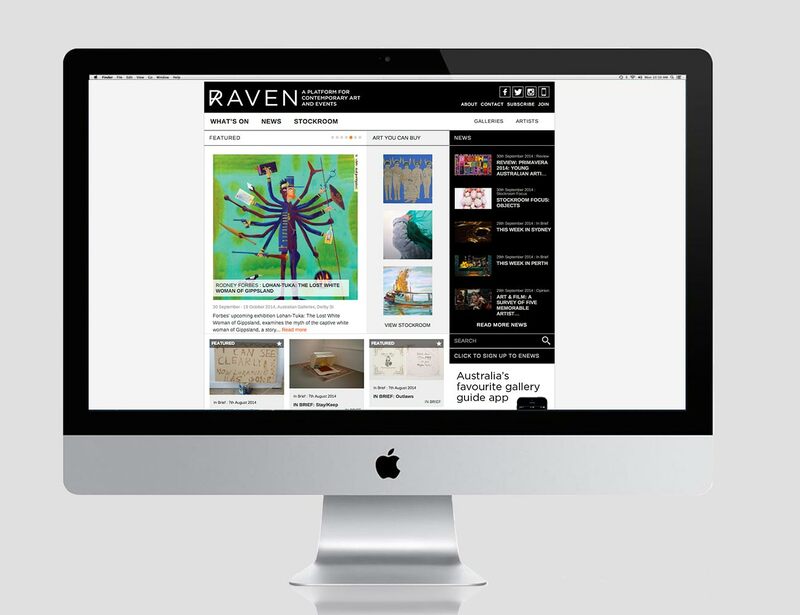 Australian focused yet internationally engaged, RAVEN offers current and comprehensive online access to artists, artworks, and exhibitions from galleries across the country. The most responsive platform of its kind in Australia, RAVEN is a source of art related opinions and reviews, a tool to plan exhibition visits and a place to view art available for sale in Australia’s leading galleries. 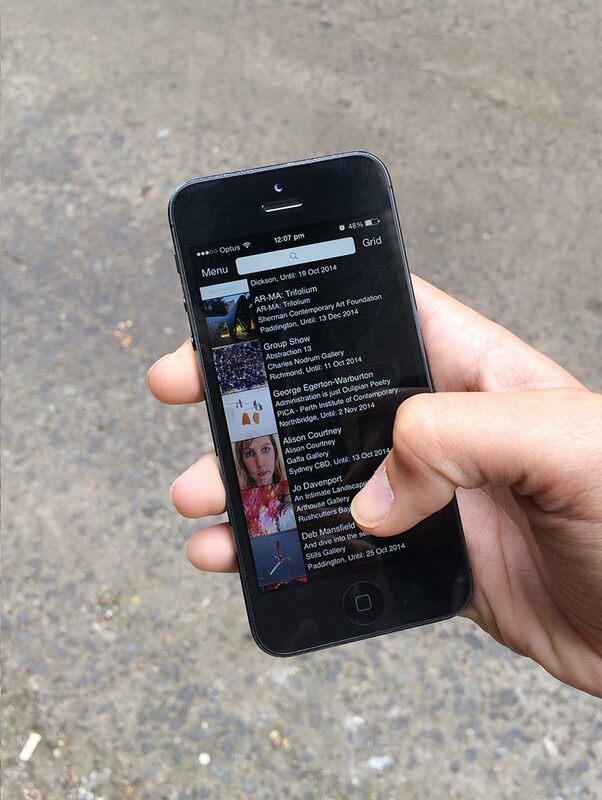 RAVEN contemporary is also Australia’s favourite gallery guide app. 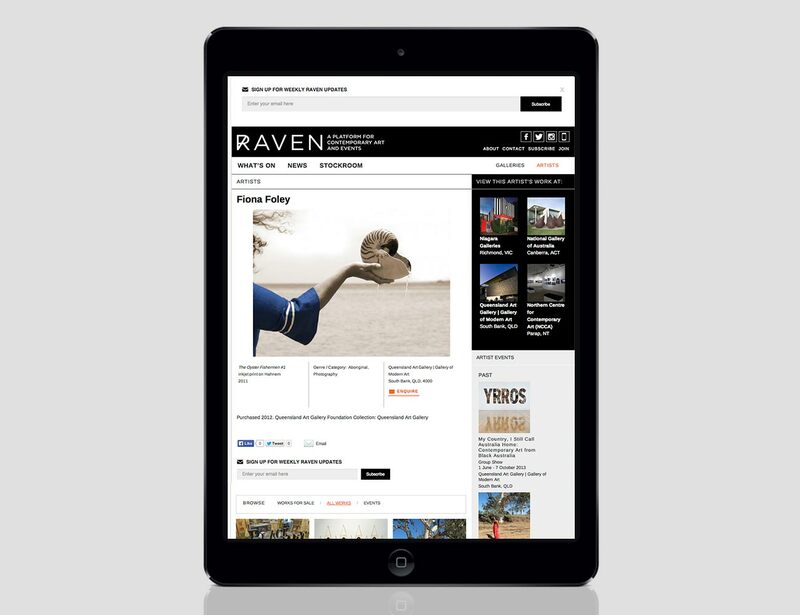 Launched in 2011 Raven for iPhone has had over 30,000 downloads and counting, connecting Australian’s with art galleries and exhibitions country-wide. Formerly artwhatson.com.au, RAVEN was re-launched by 10 Group in 2013.